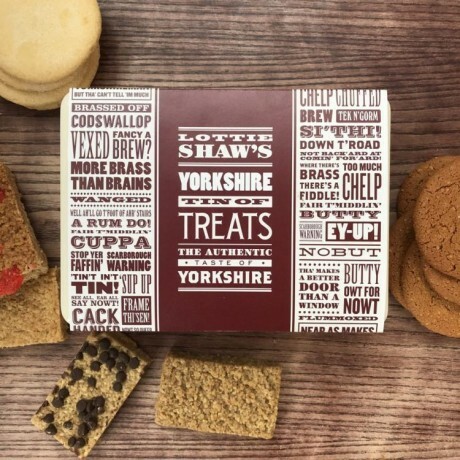 This unique Yorkshire Treat Tin is packed full of delicious Yorkshire sweet treats from Lottie Shaw's bakery. 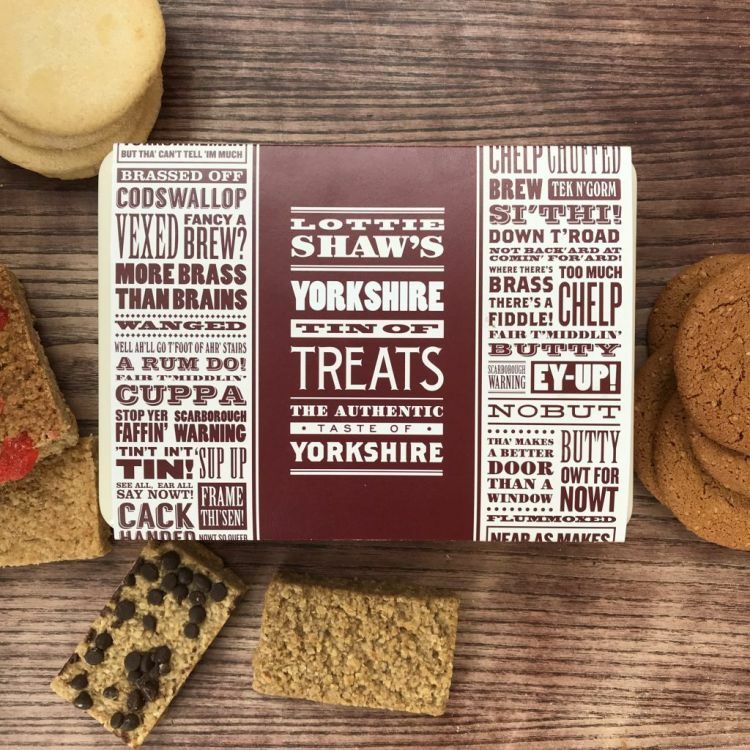 All products in the tin have a minimum shelf life of 3 months so there's plenty of time to enjoy them. 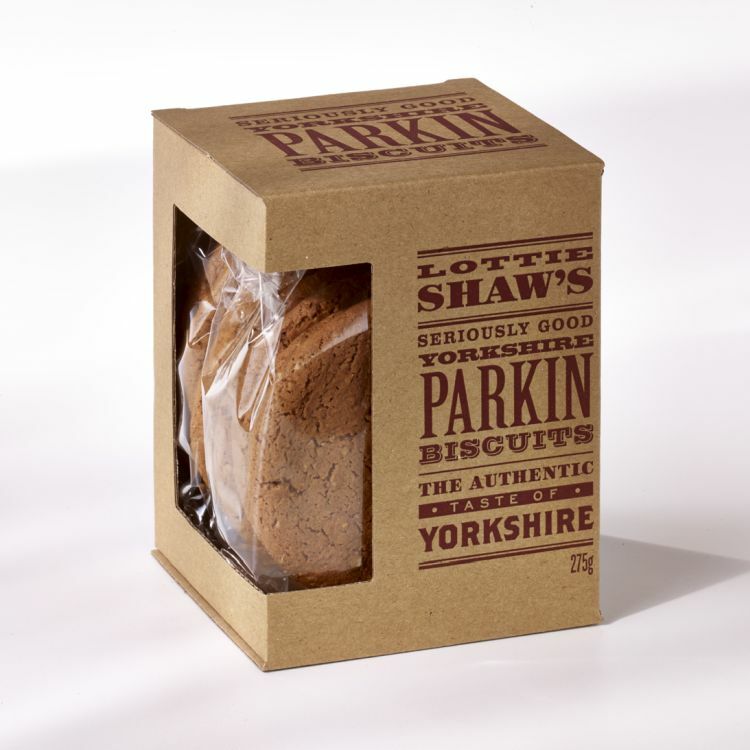 Parkin Biscuits: Black treacle, Colours E100, E160b, Demerara sugar, Egg, Emulsifiers E475, Flavourings, Ginger, Margarine, Oatmeal, Raising agents; sodium bicarbonate, Salt, Syrup, Vegetable oils, Water, Wheat flour. Traditional Flapjack: Butter flavour, Colours E100, E160b, Demerara sugar, Emulsifiers E475, Flavourings, Margarine, Partially inverted sugar syrup, Rolled oats, Salt, Sulphites E220, Vegetable oils, Water. 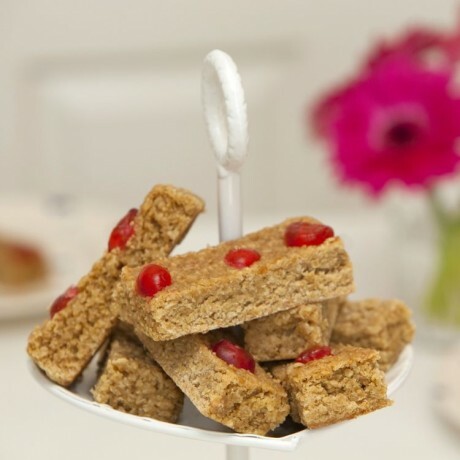 Cherry and Almond Flapjack: (Glucose syrup, sugar, acidity adjuster; E330, preservative E202, colour E127), Almond flavouring, Cherries (7.5%), Colours E100, E160b, Emulsifiers E475, Flavour enhancer E636, Flavourings, Margarine, Preservative E330, Rolled oats, Salt, Sunflower oil, Syrup, Thickening agent E415, Vegetable oils, Water. Chocolate Chip Flapjack: Chocolate flavour nibs (7.5%), Colours E100, E160b, Demerara sugar, Emulsifier E322, Emulsifiers E475, Fat reduced cocoa powder, Margarine, Rolled oats, Salt, Stabaliser E492, Sugar non-hydrogenated vegetable fat, Syrup, Vegetable oils, Water. All products are suitable for vegetarians but may contain allergens including milk, nuts and sesame seeds.